Ever since online bankroll drainer Viktor “Isildur1” Blom left the Full Tilt cash tables to to enroll with Team PokerStars, the focus has been on his SuperStar Showdown. Since joining the world’s largest online poker site Blom has taken the time to face off against all comers, with some of the finest players in the world stepping up to take on the challenge. Isildur demonstrated that he lacked fear early on in his career, taking on the likes of Phil Ivey and Tom Dwan at the highest possible stakes. The first handful of SuperStar Challenges have demonstrated that this confidence was not without merit. Eugene ‘MyRabbiFoo’ Katchalov, Daniel ‘w00ki3z.’ Cates, and Tony G have all tried and failed to turn a profit against Blom. To date, only Isaac Haxton has emerged victorious. The latest player to test themselves against Blom decided to up the ante. Never one to play small ball, fellow PokerStars Pro Daniel Negreanu announced that he would be facing off against Isildur not once, but twice. The matches were to take place across four tables of No Limit Hold’em at $50/$100 stakes, with a bankroll of $150,000. Sadly for the Canadian pro, the result of the first session was a blowout. Negreanu lost his entire $150,000 in just 1,439 hands. That’s a full 1000 less than the match was scheduled to run. Daniel was seen on twitter bemoaning his luck and statistical analysis backed up his remonstrations, indicating that he ran $44,000 under expectation. Daniel is, by his own admission, not an online cash game expert. His victories have come largely in tournament poker; windfalls that have made him second on the All Time Money list. Negreanu saw this as a great way to hone his online game and maybe emulate the likes of Phil Ivey and Gus Hansen, who have successfully made the transition from live to online. Despite losing his entire $150,000 stack, Negreanu has promised to reload and will return for the second leg this coming Sunday. The loss has not dulled his enthusiasm and he is already back online practicing with the likes of Kangis, DuggerGerngy, and Justin Bonomo, managing to claw back $85,000. He has even skipped playing in the Wynn Classic to continue his online training. Keep your eyes peeled this weekend to find out if Daniel can soothe his bruised pride in his second attempt at the Isildur1 PokerStars SuperStar Challenge. 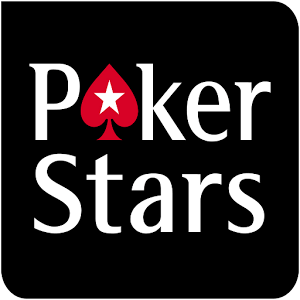 Read our review of PokerStars and our PokerStars bonus code here. Have you heard of the Big Game? People that play at PokerStars and check out their regional promotions definitely know all about the poker TV show dubbed the Big Game. Something that might surprise you is that there is also a Big Game show sponsored by PartyPoker. The PartyPoker Big Game takes place in Nottingham England, and it features a 48-hour ring game marathon. It is safe to say that you haven’t ever played in a cash game quite like this one, though. Every few hours, players at the table actually vote to eliminate one of the other players! The goal is to make as much money as possible in this game, but the catch 22 is that making too much might get you removed from the table! PartyPoker always gives its players the chance to play with the pros. You will want to clear the days between March 21 and April 3 to give yourself the opportunity to play poker in Nottingham. Players will be competing for one of nine $15k packages. You need to opt in to be eligible to earn leaderboard points, and coming in 1st or 2nd on one of the leaderboards will earn you one of those prize packages. The leaderboard tracks the cash games that you play on PartyPoker. There are actually three leaderboards available to divide the low, medium, and high stakes players. If you earn a lot of leaderboard points but can’t quite make it to the top, you still have another option. Three freerolls are scheduled, and each freeroll has a Big Game package to be won. You must rank high enough on your particular leaderboard to gain entry into one of these freerolls. The $15,000 prize package includes $2,000 for expenses and $13,000 for your cash buy-in. Every dollar you earn over and above at the Big Game table is yours to keep. Some people have walked away with up to $80,000 profit!